Beautiful ecommerce sites from the world’s most trusted Shopify Plus agency. From themes to bespoke builds, our web designers create compelling, results-driven online solutions. Whether you’re launching a new brand, need a fresh look for an existing website, want to migrate to Shopify from another platform, or need a bespoke site with unique functionality, our team of Shopify builders and website designers will work to your brief to achieve the results you need. As one of the original 3 Shopify Plus Partners in the UK, we know our stuff when it comes to web design and the development of Shopify stores of the highest calibre. 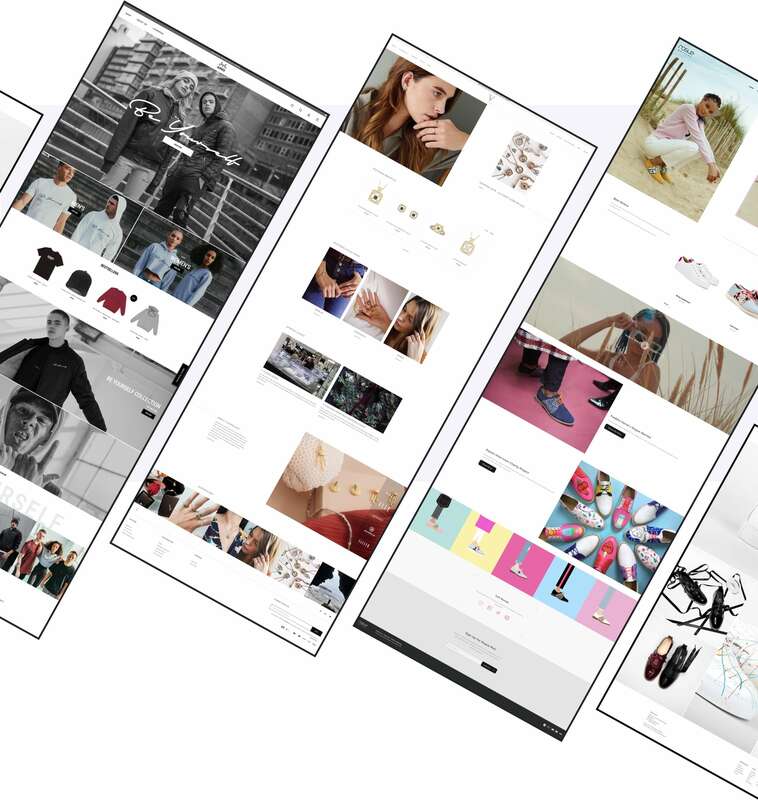 With over 500 sites created for some of the world’s fastest growing brands, we create online experiences that not only look amazing, but captivate customers with compelling and engaging journeys thanks to stunning web design and expert technical development - from the moment they enter the site to when they make a purchase. Escape the ordinary with Eastside Co. When you choose to work with Eastside Co your project will be designed and developed by our passionate in-house team of Shopify experts. With a dedicated project manager assigned to work with you throughout your site build, you’ll have a single point of contact managing every step of the way, from ideation and Shopify web design, through to development and final sign-off. 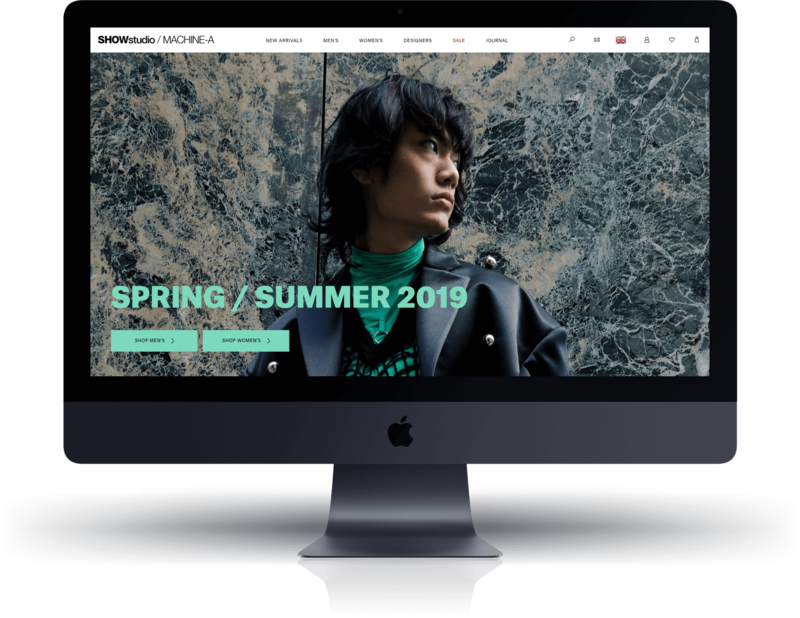 Eastside Co has a highly skilled team of professional web designers, recruited for their exceptional skills when it comes to UX and UI-led Shopify design and branding. We pride ourselves in taking ecommerce brands from concept to conversion, and our Shopify web design team is where the journey begins. You might be a brand new brand in need of an ecommerce launchpad, or perhaps you’re an established name looking for a web presence to delight and grow your audience. Wherever you are in your story, our Shopify website design team plays a pivotal role in bringing your vision to life. As a professional web design company we take pride in every store that we create. 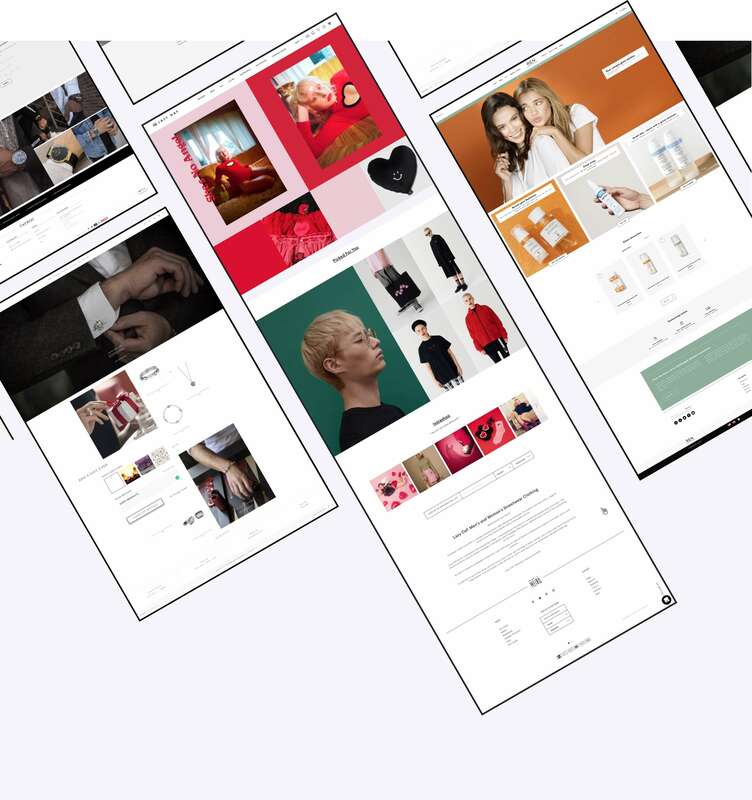 You can be confident that our team of Shopify designers will create each concept, design and layout with the goal of making your ecommerce store as beautiful and dynamic as possible. There are thousands of themes available for you to choose from as a starting point for your website. Our team of Shopify website designers can work with you to select a suitable option, and tailor your theme so it perfectly represents your vision. Once your designs have been signed off, our Shopify web developers will get to work creating your store. Working closely with you and your project manager, our web development team will make your website a reality. We provide full Shopify development services so as well as apps available in the store, we also have a team of Shopify builders and developers who can create features and elements bespoke to your own website. Once your Shopify store has been designed, built and signed off, the journey doesn’t end. We’re not just a Shopify website builder. We offer Shopify Support Packages so we’re always on hand to make design and development changes to your store whenever you need. We also have an in-house team of marketers who specialise in results-driven Shopify marketing strategies to grow your audience, your brand and your results. As one of the world's premier Shopify builders, we’ve developed hundreds of bespoke Shopify sites from the ground up. Our Shopify web designers and developers can build an ecommerce presence that will elevate your business to the next level and allow you to stay ahead of your competitors. As a Shopify Plus agency we’re experts in building sites that fully utilise the capabilities of this enterprise-level solution. If you’re a rapidly growing business, the white glove support and performance of Shopify Plus may best suit your needs. Our in-house development team can also create custom functionality to make your store truly unique. Beautiful designs to grow your Shopify store.